The common challenges faced by the project partners are lack of practical trainings of medical staff to increase their competences and lack of exchange of information about surgical services and surgical best practice cases between Latvia and Lithuania. As both of countries have own surgical specific, such a cooperation should bring some benefits. The project shall address strengthening of surgical services in wide range of them. Sharing information about surgical activities between Latvian and Lithuanian surgeons is one of the key point, which can raise the level of knowledge of surgical staff by that implement different innovations, to improve surgical service level, avoid mistakes per surgical activities. Also Daugavpils Regional Hospital will be create the multifunctional training center with the possibility of operations broadcasting and equipped with telemedicine system, thus increasing its capacities as a cross-border qualified medical service provider. The main goal of the multifunctional training center is to improve the level and quality of health care provision, based on the efficient use of high-level information technology. To raise capacities of the personnel by organizing training. Three types of training are planned for the implementation of the project to raise capacities of the personnel. It is planned, that 20 persons will be trained per each training (topic) group. “Refresher course” will consist of such topics (11 trainings per each partner) as Team work, Conflicts management, Leadership, Organization results evaluation, HR management, Public speaking, Strategic planning, Successful organisation representation and image, Stress management, Internal communication, Time management. “Vocation training for surgeons/doctors/ administration” both partners will have 3 topics and will train 20 students per topic. “Vocation training for surgeons/doctors/ administration“ that will be organised by Kaunas regional hospital will consist of these topics: Minimally invasive laparoscopic surgery for groin hernias, Minimally invasive laparoscopic colon surgery and Minimally invasive endovascular treatment of varicose veins. While trainings in Daugavpils Regional Hospital will consist of these topics: Laparoscopic surgery, Modern tendencies of parenteral nutrition and Organization of patient personal data protection. To increase technical capacities of the hospitals surgical (telemedicine) equipment meeting the existing requirements and patient’s surveillance equipment will be purchased by both project partners. Like cameras, which allow to film and archive the videos, use the videos for educational or other specific purposes and in real time for consultation purposes. Also, a conference hall in Daugavpils regional hospital will be repaired. 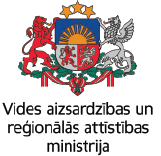 The methodological material consisting of the procedures and methods on organizing of work and how to work with the new medical equipment (telemedicine equipment) will be developed for the use of the Kaunas regional hospital Surgery Clinics (operations departments). Also, both partners in cooperation will develop another methodological material, which implement new methods and new approaches to provide telemedicine broadcasting. As a result of the project, partnership cooperation between Daugavpils and Kaunas surgical specialists will be established, which will be a platform for further professional cooperation in other areas of medicine. Remote consultations using new equipment would allow partners to share medical experience and know-how information, which inevitably leads to improving of quality of surgical services in Latvia and Lithuania.